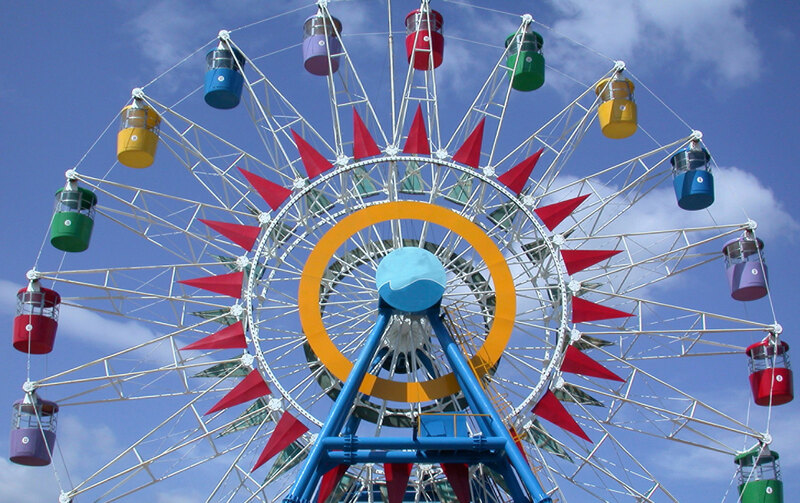 Amusement Park •	Water Park • Traveling Carnival Injuries | Brunswick Georgia Personal Injury Lawyers – The Dow Firm, P.C. In the state of Georgia, permanent amusement parks (such as Wild Adventures and Six Flags), waterparks and traveling carnivals are regulated by the Georgia Office of Safety Fire Commissioner under the authority of Chapter 15 of Title 25 of the Official Code of Georgia Annotated. The Georgia Office of Safety Fire Commissioner has specific regulations it has promulgated pursuant to Georgia’s statutory scheme applicable to amusement rides and their operators. While amusement parks, waterparks and carnivals can be the source of fun, if their roller-coasters and other attractions are not properly certified into use and maintained thereafter, a good time can quickly become a dangerous and potentially fatal situation. Having successfully handled a number of such claims, The Dow Firm, P.C., located in Brunswick, Georgia, is equipped to represent the interests of park/carnival patrons who have been injured or killed. The Dow Firm, P.C. is proud to offer services and represent clients with amusement park injury claims in Glynn County (Brunswick, Country Club Estate, Dock Junction, Everitt, Jekyll Island, Sea Island, Sterling, St. Simons Island and Thalman), Brantley County (Atkinson, Hickox, Hoboken, Hortense, Lulaton, Nahunta, Trudie and Waynesville), Camden County (Colesburg, Dover Bluff, Harrietts Bluff, Kings Bay Base, Kingsland, St. Marys, Tarboro, Waverly, White Oak and Woodbine), Wayne County (Jesup, Odum and Screven), McIntosh County (Cox, Crescent, Darien, Eulonia, Pine Harbour, Ridgeville, Shellman Bluff, South Newport, Townsend and Valona), Pierce County (Blackshear, Bristol, Mershon, Offerman and Patterson), Chatham County (Bloomingdale, Garden City, Georgetown, Isle of Hope-Dutch Island, Montgomery, Port Wentworth, Pooler, Savannah, Skidaway Island, Thunderbolt, Tybee Island, Whitmarsh Island, Wilmington Island and Vernonburg) and counties throughout the state of Georgia. The Dow Firm, P.C. is located in Brunswick, GA, however, our firm is able to manage amusement park and carnival injury cases and all types of personal injury cases anywhere in Georgia.